I know that everyone says “breakfast is the most important meal of the day.” And some people write entire books and blogs, just about breakfast. But I must confess: I’m not a regular breakfast eater. I have nothing against the meal mind you. It’s just that I’m really not that hungry until a few hours after I wake up, and by that time, I’m at work and it’s easier to wait for lunch time to roll around. Someone once suggested that I just wake up earlier. That suggestion was a non-starter; as much as I love food, I love sleeping more. I’ve written at length about my own family food traditions. Apple pancake is one of Tania’s. 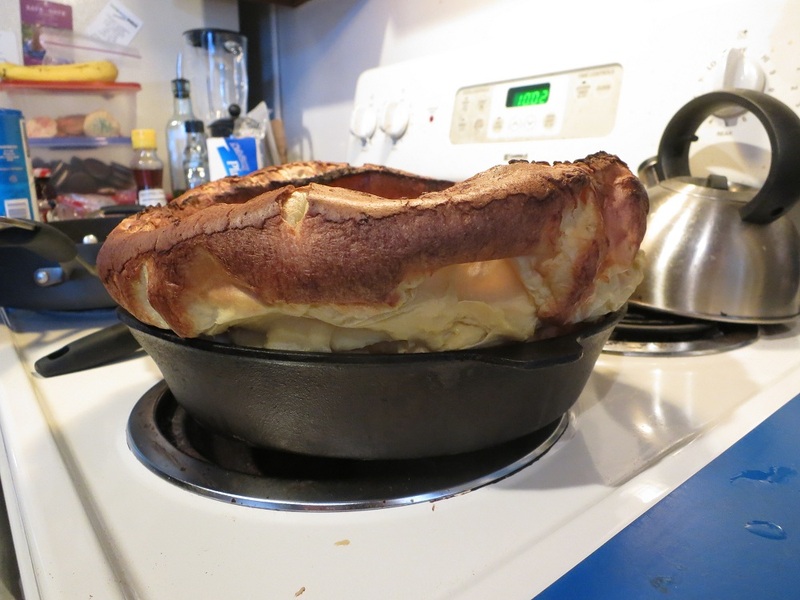 Most commonly referred to as a Dutch Baby, sometimes as a puff pancake, and occasionally as an oven pancake, the apple pancake is akin to a large popover. If done properly, it will tower above the pan in which it is cooked.